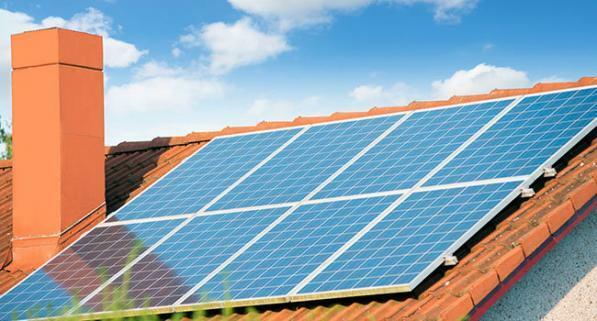 Clean, renewable solar energy can be used in almost any residential application. A homeowner can save thousands of dollars per year for decades after the initial investment into solar roofing panels. In most instances, a solar roofing system pays for itself in 5-9 years. Most customers see a return of 11-20% per year. With Federal tax credits and the Texas PACE (Property Assessed Clean Energy) program, it has never been more affordable to go solar. Texas and Oklahoma have some of the strongest sunshine in the country. Texas has lower than average solar costs. That is why Texas rates as a top ten state for solar roofing. Homeowners in Texas have access to considerable rebate programs, special financing offers, and special policies that can help save thousands on the cost of installing a solar energy system on their roof. There is even a solar rights law that prevents HOAs from banning solar energy systems. While Oklahoma is not as invested in solar energy, solar panels are an excellent investment in self-generating energy for homeowners in Texas. If you have considered solar panels, consider these benefits. You can greatly eliminate or reduce your energy costs. Solar panels are great for sunny climates, but still will continue to draw energy even when it is cloudy. You can earn Federal tax credits and rebates. You will get 30% off total system costs back from equipment and installation as a federal income tax credit. Combine that with state and local rebates. You will start saving money from the first day of solar operation. The sun is free power. Plus, you increase your home’s resale. You will help the environment. Solar energy is clean and pure. Considering Switching to a Solar Roofing System? Maybe solar energy is for you! Baker Roofing & Construction Inc. can install attractive, low maintenance solar panels to your existing or new roof. Our well-trained and skilled technicians will install your solar panels with careful precision with adherence to industry guidelines and procedures. This will guarantee an easy and cost-effective way to lower your energy costs and increase the value of your home. If you are thinking of going solar, give Baker Roofing a call to discuss your solar panel installation.